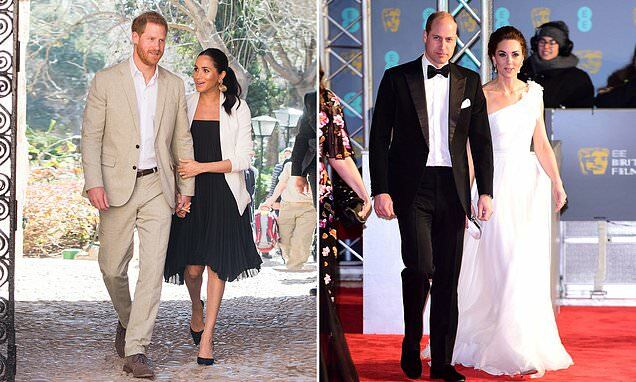 Royal correspondent Omid Scobie revealed that Harry had always intended to go his separate way from William once he was married, and planned to do his own thing 'way before Meghan came along'. Sorry JKR, getting caught up, life is chaotic right now. We received a good anon regarding this. Yes, they will go their separate ways, that’s why Samantha was there to get them acclimated to Buckingham Palace ways. Prince Charles claimed to want to downsize the Monarchy not expand it. I’ve questioned this in the past days that he intends to do this or is he giving way for MM? It’s 50/50 right now. BP should consume them, and tame their wild ways, IMO I think it’s necessary for them to do. Look, MM is here to stay for a while and has gotten away with murder. Since PW can’t control them, will BP be able to tame them and tone it down? MM is a rogue and won’t listen. She does what she wants, and Harry will avoid trouble by ignoring it. The man doesn’t like confrontation. It’s part of his PTSD; this goes back to the War of Wales. Momager Meg will make all the decisions whether he likes it or not. She is getting away it for now. Many have said they are letting her hang herself. How long is that rope? It’s a mighty expensive one. As you know, I’m not taken tumblr anons at this time. Since it’s official engagement, I will tolerate MM even though I want to vomit when she starts talking. Send anons on the website at https://jerseydeanne.com click on anon.